The 2019 races are set for May 25! 2019 marks the 6th Annual Path of the Flood Historic Races! 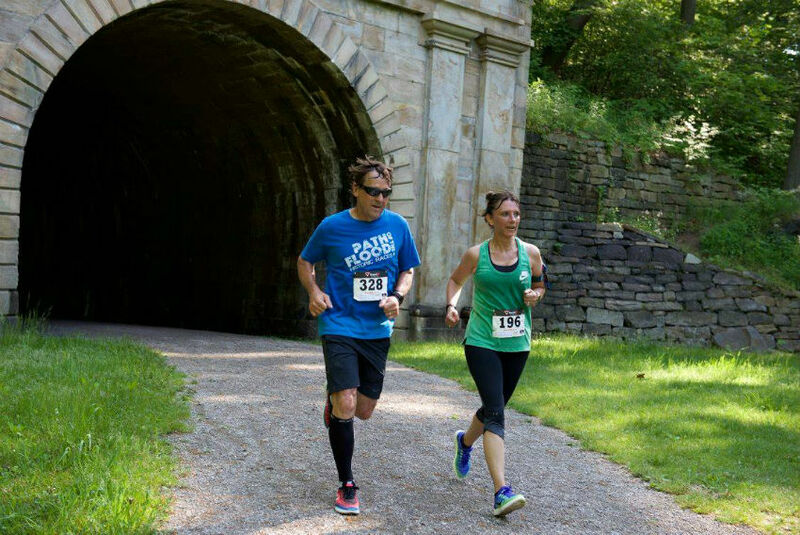 Our date is May 25, 2019, and online registration is open now! 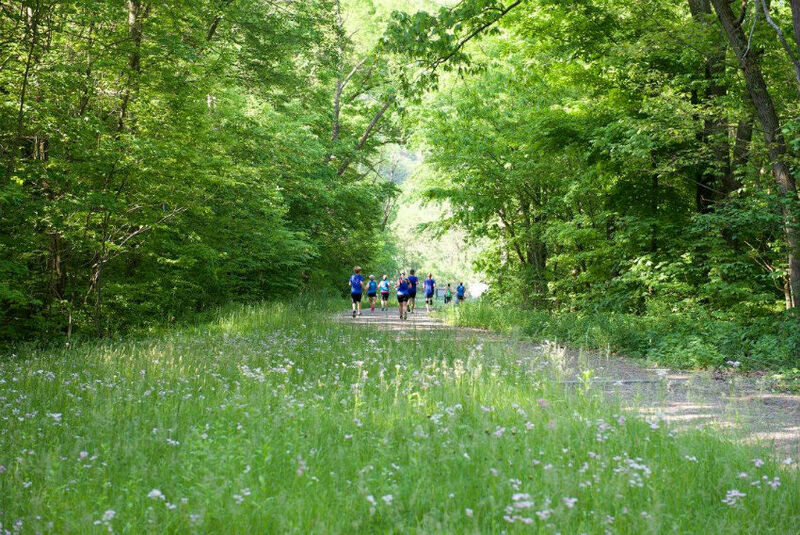 If you are a member of the Johnstown Area Heritage Association, you’re entitled to a $5 discount — to get yours, contact Deb Winterscheidt at 814-539-1889 x315 before registering; CCCRA Friends of the Trails members are also eligible for a $5 discount and should contact Caytlin Lusk to get it. The Path of the Flood Historic Races allow runners to experience the historic 1889 Johnstown Flood in its entirety with the half marathon, or in small droplets through the 5K or 12K races. 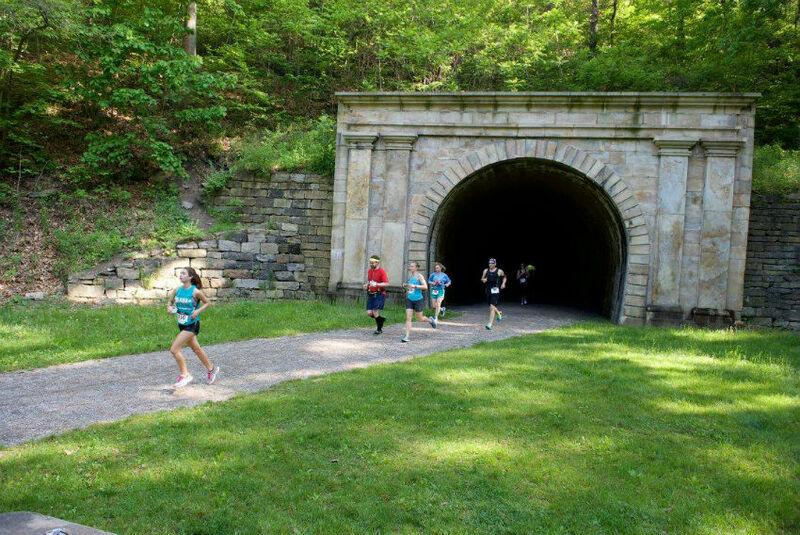 The course follows the Path of the Flood Trail and goes through Staple Bend Tunnel, the first railroad tunnel in the U.S. 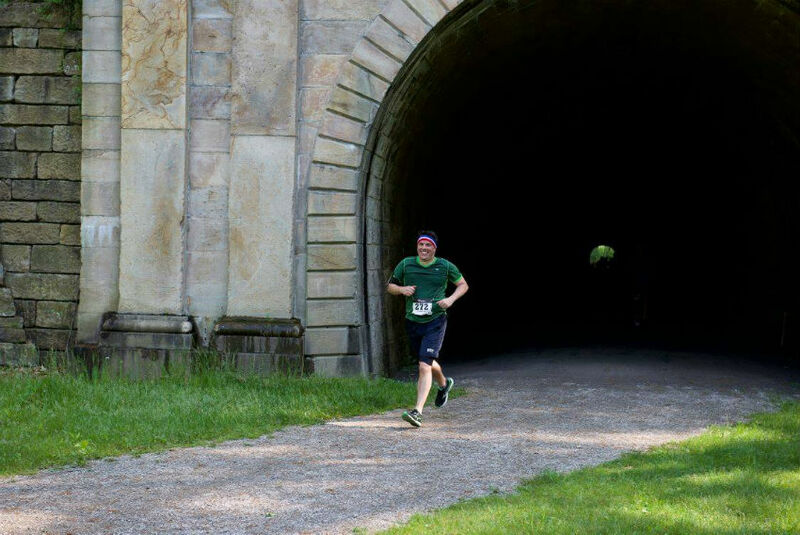 The finish is at Peoples Natural Gas Park where you can see the historic Stone Bridge, which still stands after stopping the majority of the flood’s energy. Our hybrid road/rail trail course beckons you to be a part of history once again! 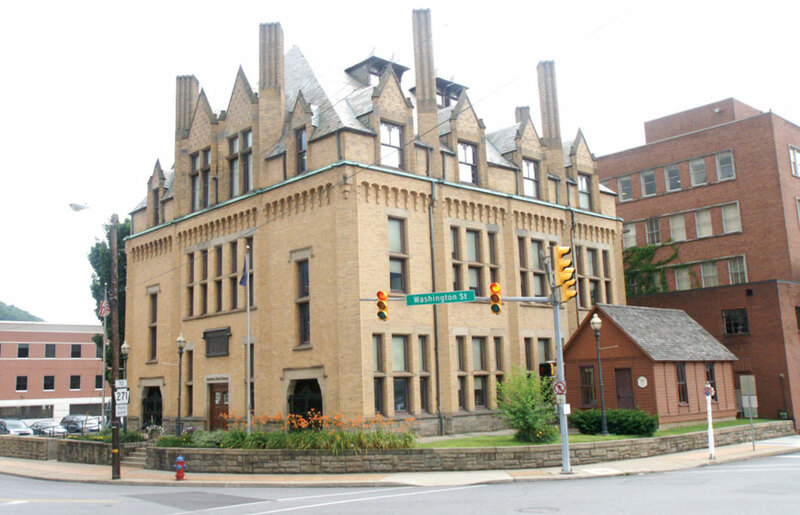 This event is hosted by the Johnstown Area Heritage Association and the Cambria County Conservation & Recreation Authority – all proceeds benefit the Cambria County Trails and the heritage of the Johnstown region. Registration is free for youth 17 years of age & under for all three races, thanks to 1889 Foundation. For 2019, due to increased participation, there will be a cap of 500 runners for the Half Marathon and a cap of 500 for the 5K. Register early to avoid missing the race! Includes high-quality shirt, commemorative pint glass filled with free beer or soda, and finisher’s medal. Includes high-quality shirt, commemorative pint glass filled with free Michelob Light or soda, and finisher’s medal. There will be no online registrations accepted after May 10. 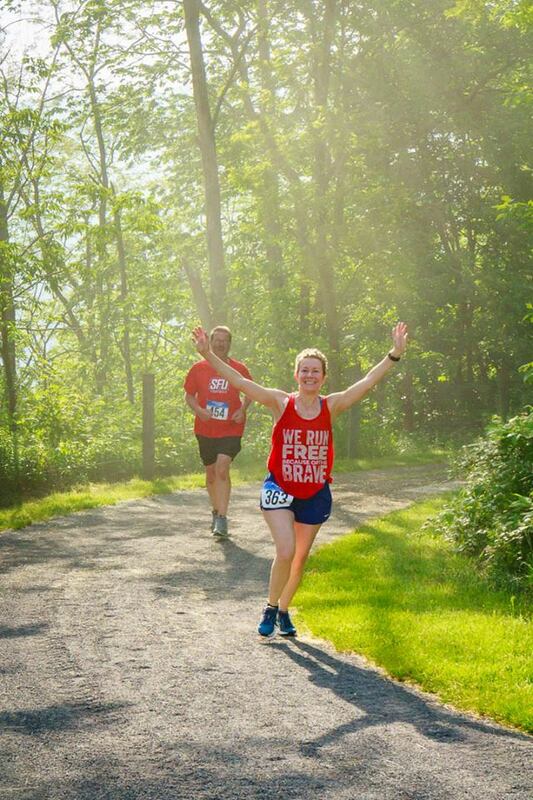 There will be Race Day registration for the 5K Race ONLY from 5:30 a.m.-7 a.m. at Peoples Natural Gas Park, but you are NOT guaranteed a t-shirt, pint glass, or finisher’s medal. NO race day registration for the 12k and Half Marathon.